Iain Pear’s novel has a fixed geographical focus, namely the city and surroundings of Avignon, France. Three historical eras are included. Calling this book “historical fiction” is a serious oversimplification. The novel begins with a suicide by burning. Not for the faint of heart. I interpreted the book as a harsh critique of the impact of Christianity on the cultures that came before it. The sets of characters in each era are so strongly parallel that reincarnation comes to mind. Is the “wise woman” portrayed in each era really the same woman, or in some sense an archetype, Sophia the goddess of wisdom? I plan to reread this book when I can get my hands on a hard copy. The Kindle is not ideal for a book that requires the reader to skip back and forth. It’s not a good book to put down and then pick up two weeks later. 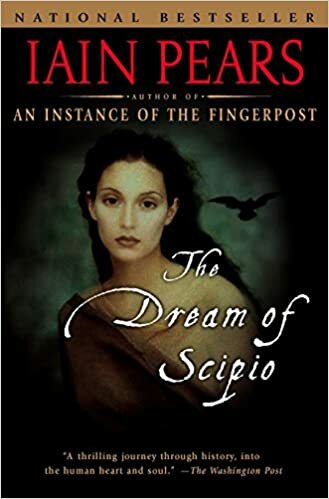 I highly recommend reading The Dream of Scipio with a group, so you will have ample opportunity for discussion. Genre: crime fiction, sort of…aka, philosophical thriller (according to Amazon). This book takes place in Denmark and was translated from Danish. The plot is confusing, the characters interesting. The girl of the title remains mysterious. Hard to explain why I kept reading, but I did. I’ve been told the test of “really good literature” is that you want to go right back to the beginning and read again. I re-read the first few chapters. I found that some intriguing elements of character from early chapters were not ever fully developed (psychokinesis?). Too bad. But lots of other good details emerged. Some reviewers refer to the mystical or metaphysical abilities of the hero. The protagonist has an unusual (supernatural?) sense of hearing and a multidimensional relationship with classical music. He often refers to classical composers or pieces to explain his reaction to people or situations. I recommend this book to whoever likes a book that slows you down a little. I returned it to the library, but may give it a second shot. I believe I read the author’s Smila’s Sense of Snow a little before I started blogging in 2013. It was a blockbuster hit (300 reviews on Amazon, four stars) and was made into a movie. Maybe I should dig out the comments in my old reading journal! If you saw the movie, please fill me in! Thanks. This book is a (sort of) prequel to Pullman’s “His Dark Materials” trilogy. Pullman wrote this trilogy between 1995 and 2000. JK Rowling wrote the seven Harry Potter books between 1997 and 2007. Each series was oriented towards young people and each generated a well developed alternate (fantasy) world and world view. People (like me) who raised kids born from, say, 1975 to 1995 were likely to find themselves immersed in one or both of these literary bonanzas and their associated alternate worlds. What began, for many families, as read aloud frenzies, later evolved into pitched battles over who got to read an eagerly awaited, newly released book first. Adults have been known to stay up until all hours with The Deathly Hallows or The Amber Spyglass. Two copies of La Belle Sauvage (released October 19) turned up at our now all-adult Thanksgiving family gathering. Serious discussion was devoted to which alternative world is more compelling, Hogwarts or Lyra’s Oxford. Pullman beat Rowling by a narrow margin. None of us could resist the idea of having a daemon. What’s a daemon? In Pullman’s alternate world, every human has an animal “familiar” which reflects aspects of his or her personality. In classical Greek mythology, a daemon is a “natural spirit which is less than divine”. (Loosely paraphrased from Wikipedia.) In Pullman, a child’s daemon changes animal form from moment to moment – an adult’s is fixed. A person’s daemon provides loving companionship, support, insight… To be separated from one’s daemon is unbearably painful. Pullman makes this complex conceit feel natural. La Belle Sauvage is a fantasy/adventure story written for young adults. There is nothing condescending about it. The protagonists (a boy of 11 and a girl of 14) living in a place rather like Victorian Oxford, are drawn into adult conflicts that mix politics, religion, science and philosophy. They end up guarding a baby in the midst of a natural disaster. It’s the battle between good and evil, narrated with flair and energy. I couldn’t put it down. Like the Harry Potter series, Pullman’s books have been labeled a “bad influence” on young minds. “Anti-religious” is one of the claims. 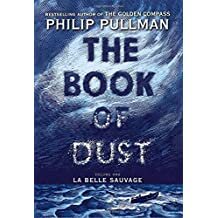 Read La Belle Sauvage! If you haven’t read the Dark Materials trilogy, go for it. I’m planning to order some of Pullman’s other books, and will report on them soon. See my blog entry of July 13 for comments on the first of these books, My Brilliant Friend. Ferrante’s Neapolitan novels comprise a tetralogy, or quartet. My only other experience with a literary quartet is the magnificent Raj Quartet by Paul Scott. The Raj Quartet has been described as “sprawling”. I would say panoramic. The Neapolitan novels are intensely focused on one woman’s life, and within it, one intense friendship. I read the three books that followed My Brilliant Friend (1300+ pages total!) in a fast and furious binge that took less than a month. Just couldn’t stop! The Story of a New Name is about gender and relationships. Normally I’m not charitable towards authors who provide an index of characters. Clear and thoughtful writing should render that crutch unnecessary. But I forgive Ferrante because the complexity of her books, with their multitude of characters, reflects “real” life. Those Who Leave and Those Who Stay continues the lives of Elena (the narrator) and her best friend Lila, as does Book 4, The Story of the Lost Child. Farrante doesn’t back off from shocking plot twists. The story continues until Elena is past age 60 and Lila has, apparently intentionally, disappeared, dropped out of sight. What is stranger than a disappearance? In my long life, this has happened twice – two people, not “closest friends” but more than acquaintances, have disappeared – one almost 40 years ago, the other about 15 years ago. I have no intention of writing about them, or of seeking further information. But I cannot help being fascinated by Ferrante’s literary take on this. One reviewer describes the Neapolitan novels as an “education in being female”. I recommend them to men on that basis. Very likely you will learn a great deal. Ferrante (whoever she is) is an author for the ages. This book covers the same time period and follows the same characters as the author’s Gilead, which I wrote about on May 16, 2016. Same story, different perspective, but Robinson managed, once again, to surprise me. The Boughton family has eight children. The sons receive the names of family and friends, but the daughters are named for theological concepts – Faith, Hope, Grace and Glory. Big message right there – men and women fill very different roles in life. Seven of the Boughton children fulfill their loving parents’ expectations and grow into responsible, productive and apparently happy adults. But then there’s Jack… He never “fits in”, always defies expectations. He fathers a child out of wedlock, and leaves, abandoning the child, the mother (still almost a child herself), his family and the community of Gilead. His father is grieved, angry and guilt stricken. He focuses intensely on Jack, who has almost no contact with the family. At the start of the book, Jack comes home. Home is told from the perspective of Glory, the youngest daughter, who returns to Gilead in the early 1950s at age 38, to care for her aging father, just before Jack finally returns. Glory had worked as a high school teacher. Her personal life included a long, long engagement to a man she lately learned was married. At 38, she is a sad, thoughtful woman. The question posed by this book is whether any redemption is possible for Jack. At the end of the book, Jack is still suffering. It’s less clear whether he still causes others to suffer. Next I will read Lila; another perspective, I believe, on this Midwestern American version of the prodigal son. I’ve started to read Robinson’s essays. Stay tuned! I couldn’t figure out how this book came to be on my Kindle. Sometimes I forget I’m not the only person using my account! Thanks, J, for spotting this wonderful novel, which was originally published in Italian. What did I like about this book? I’ve mentioned elsewhere that I like authors who take childhood and children seriously. Ferrante never deviates from the point of view and story line of her heroine, who, in this book, is followed from about age 6 to 17. What else? I decided to look up “literary fiction” to see if this book qualifies. Wikipedia tells me “literary fiction” has something more going on that just plot. It engages some important idea or concept. My Brilliant Friend deals with poverty, war, education (very interesting! ), gender roles, social violence and other important issues, all within the framework of one life. If I’m going to read “literary fiction”, I want to do it right… I consulted Thomas C Foster’s How to Read Literature Like a Professor on the subject of symbolism. According to Foster, almost everything is a symbol, and most symbols carry both positive and negative connotations. (Foster was not so helpful as to list the symbolism of common objects.) One prominent symbol in in My Brilliant Friend is shoes. Speculating wildly, I would say that the shoes in My Brilliant Friend symbolize creativity, wealth and power. But fixing shoes (as one character does) symbolizes poverty and subservience. “Elena Ferrante” does not exist. 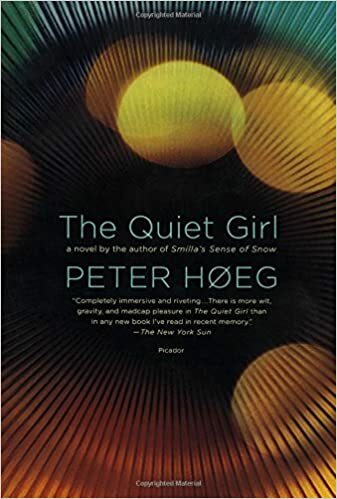 This is the pen name of a person who (despite international acclaim and major prizes) prefers to remain anonymous, and who has been quoted as saying “books, once they are written, have no need of their authors”. Her publisher has respected her wishes. Speculation as to her identity is rampant and sometimes detailed. I, for one, am content to enjoy the books and let the author use whatever name she chooses. I plan to read more by Elena Ferrante. Published in 1998, 394 pages, Norton paperback edition. I can’t believe how much I liked this book! It’s one of the best novels I read since Cold Mountain. (Digression… Why was I predisposed to read this book? My Father’s World War II military service included spending two winters in Point Barrow. Alaska, prospecting for north slope oil. Barrow was a tiny, isolated community and the Navy (Construction Battalion) unit was left more or less on its own for the cold, dark months. Dad came home with an interest in the arctic exploration, and read everything our public library provided about the polar explorers and their journeys. If Dad was alive, I would send him a copy of this wonderful story! The plot exceeded my expectations, which were of a standard adventure/survival tale. The 1850s was a period of exploration and public excitement about distant places. An expedition leaves from Philadelphia, hoping to find a missing explorer and fill in some blank places on the emerging map of the far North. What makes this book work so well? The characters are well conceived and idiosyncratic. The author does not give too much away. I suppose I knew there had to be a “bad guy”, but who it was and what acts he would commit were not signaled in advance. The plot surprised me (more than once), and there was a subtle arc of retribution that I barely caught on my first reading. Yesterday I glanced at the New York Times (April 1, 2016) and found a review of another novel about the far North, with emphasis on whaling rather than exploration. The North Water by Ian McGuire sounds too gory for me, and possibly too laden with literary references. But I realize this is only one reviewer’s opinion, so I may grab this if I find it on the “new arrivals” shelf at the library. Meanwhile, I plan to read more by Andrea Barrett.